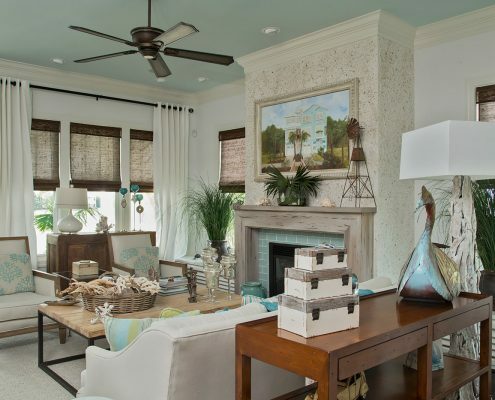 This new-build property is located directly on the Intracoastal waterway. 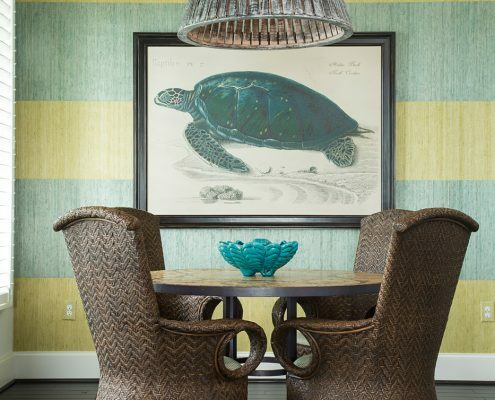 The goal was to reflect the calmness of the water into a subtle but interesting coastal design. 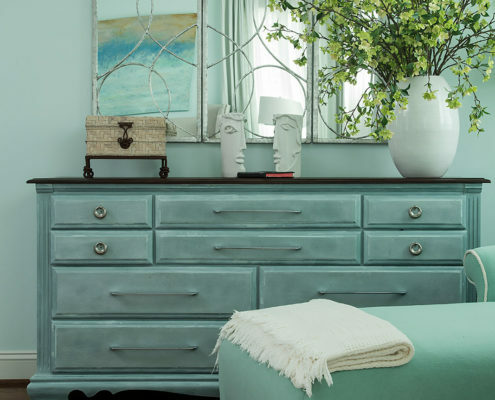 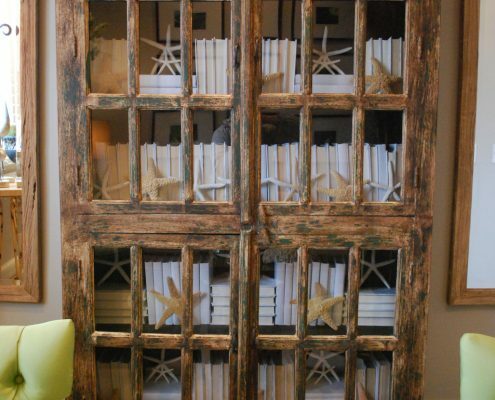 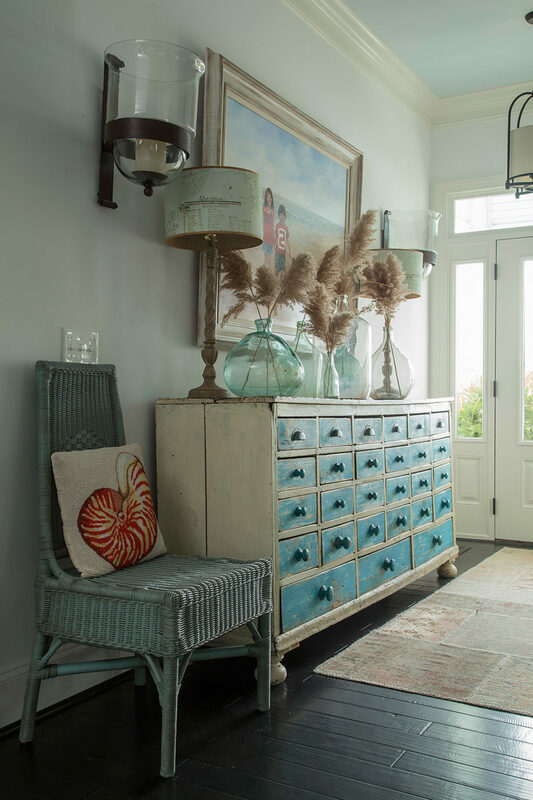 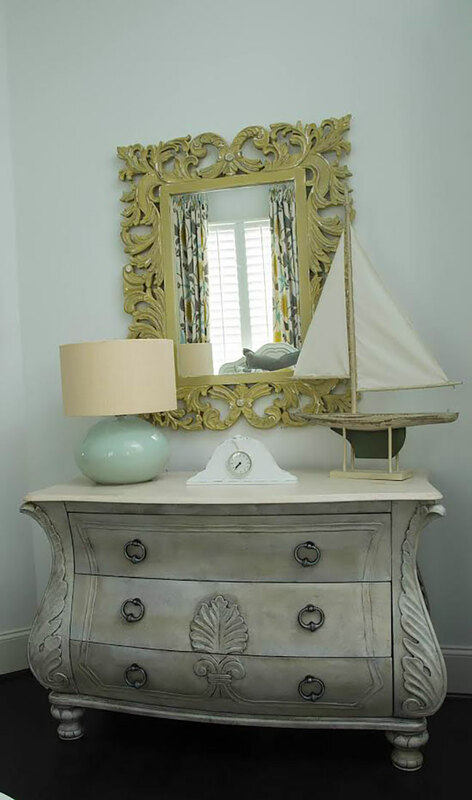 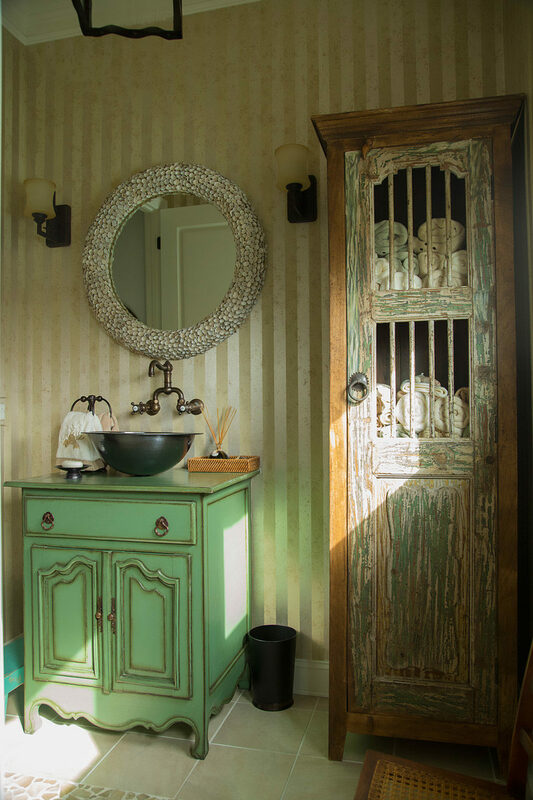 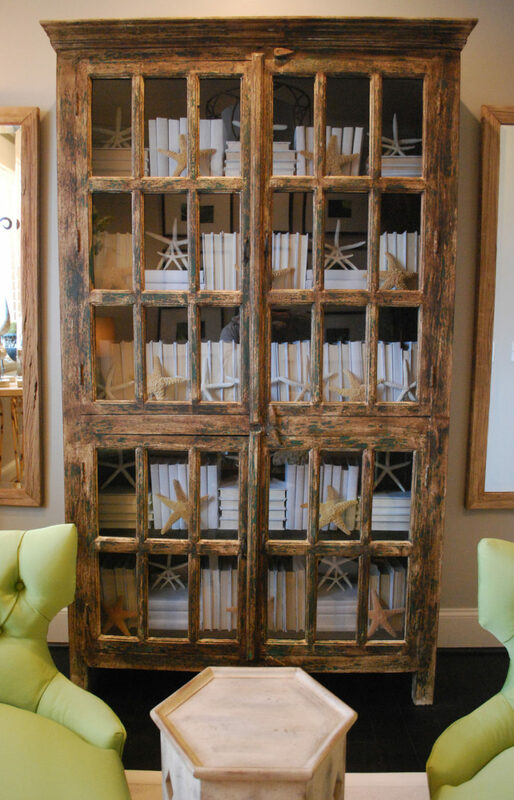 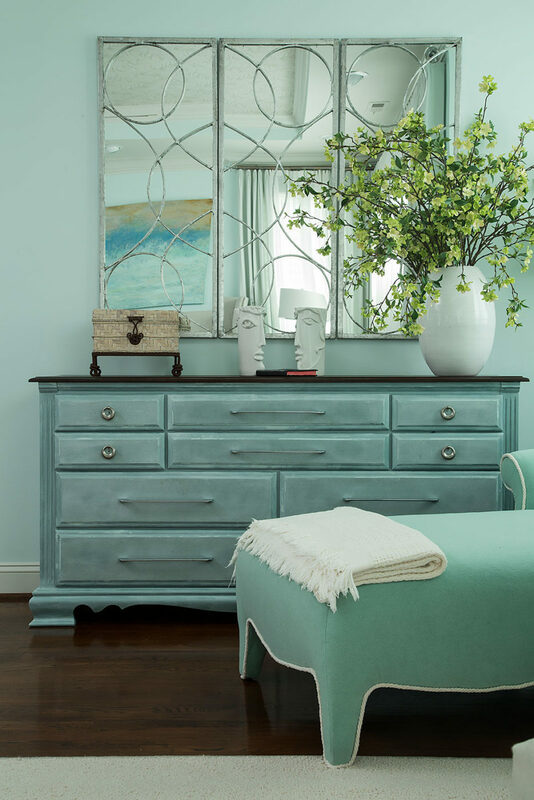 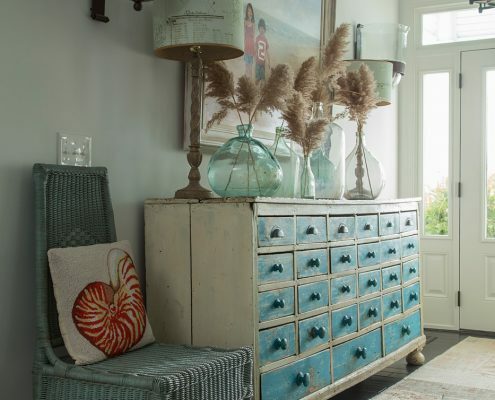 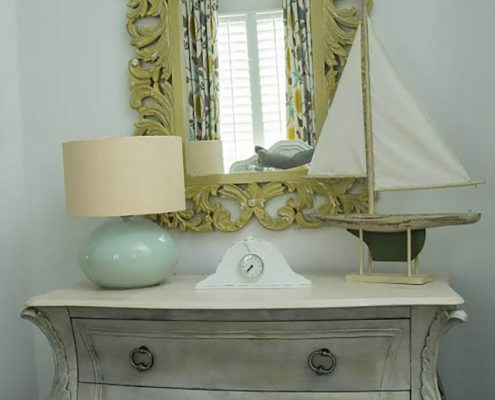 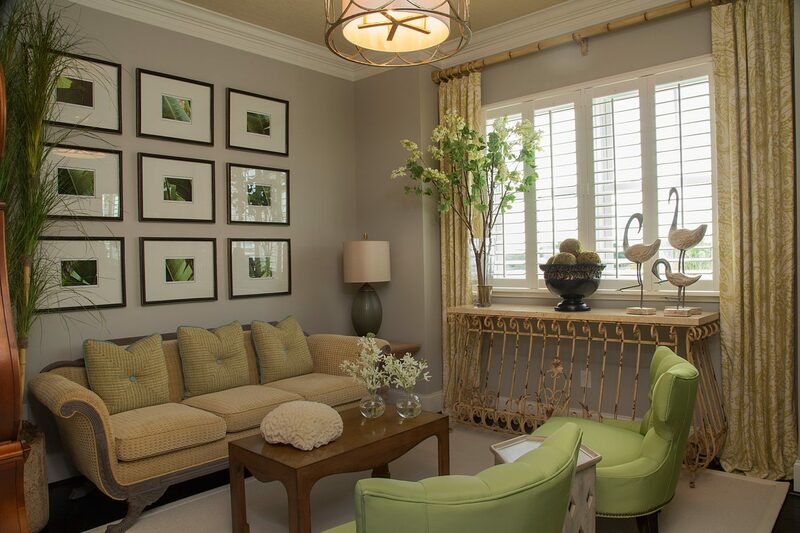 The entrance features a large antique bank chest that anchors a painting of the client’s grandchildren. 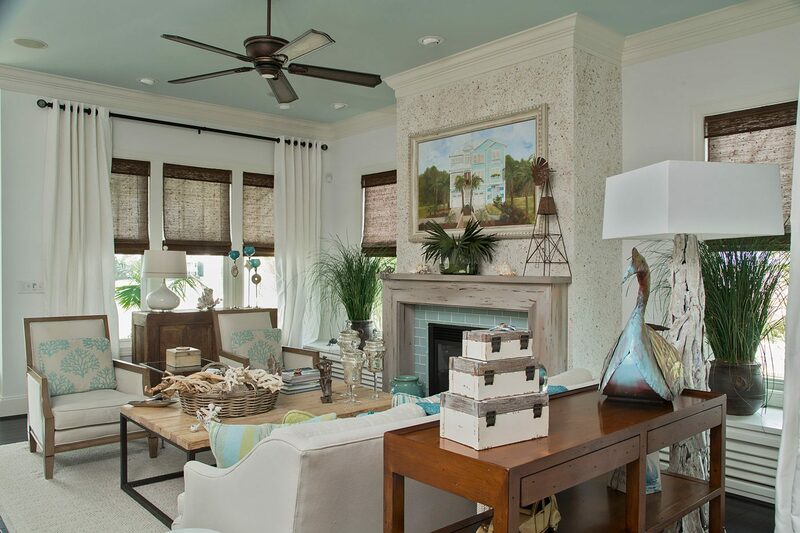 Distressed louvers over doorways, a tabby shell fireplace, cedar mantel, and window seating were added throughout the living room. 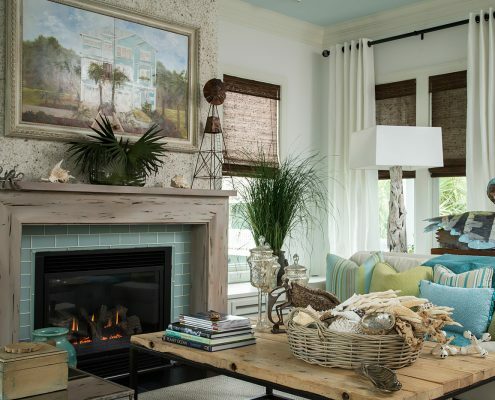 Above the fireplace rests a painting of the exterior of the home, concealing the television. 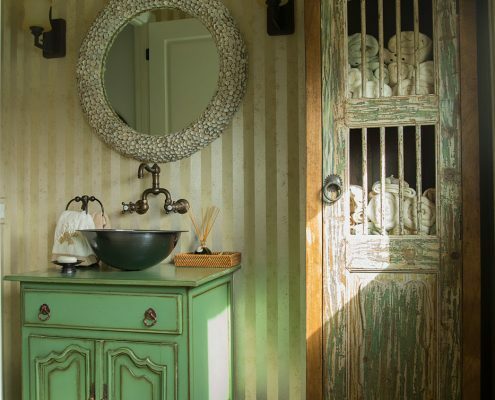 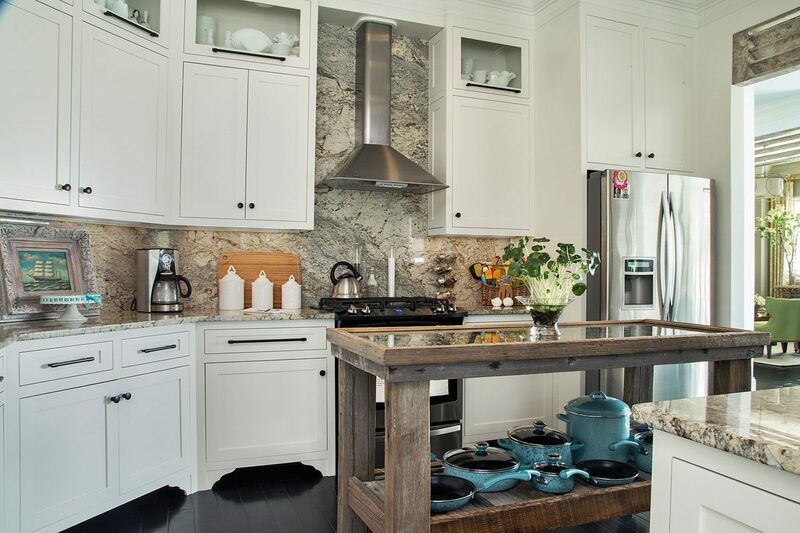 The kitchen features custom cabinetry designed by our team, exposing an antique milk glass collection. 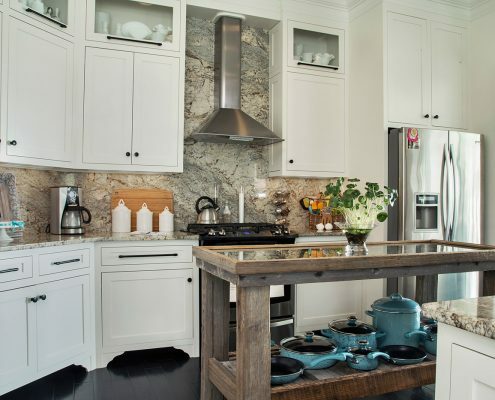 The Kitchen is centered around a custom wood island bar revealing it’s barnacles. 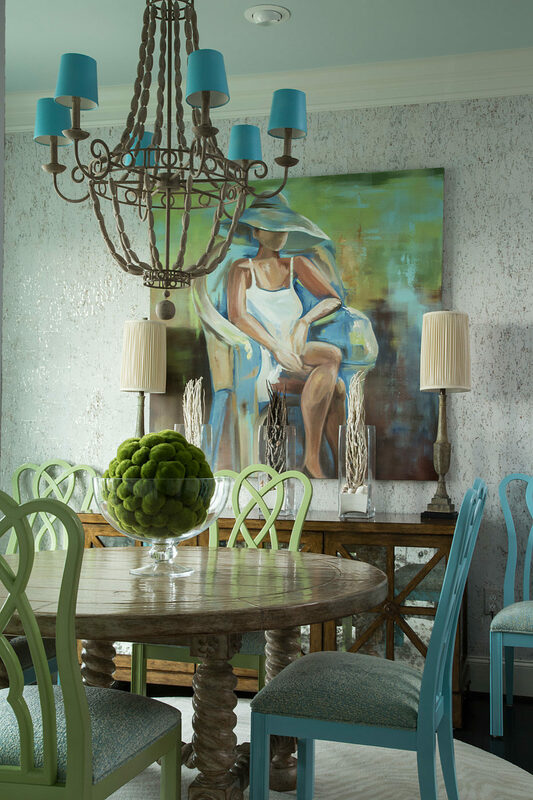 The dining room walls are finished with painted cork wall covering, accented with a custom painting of “Lady in the Hat” created specifically for this space. 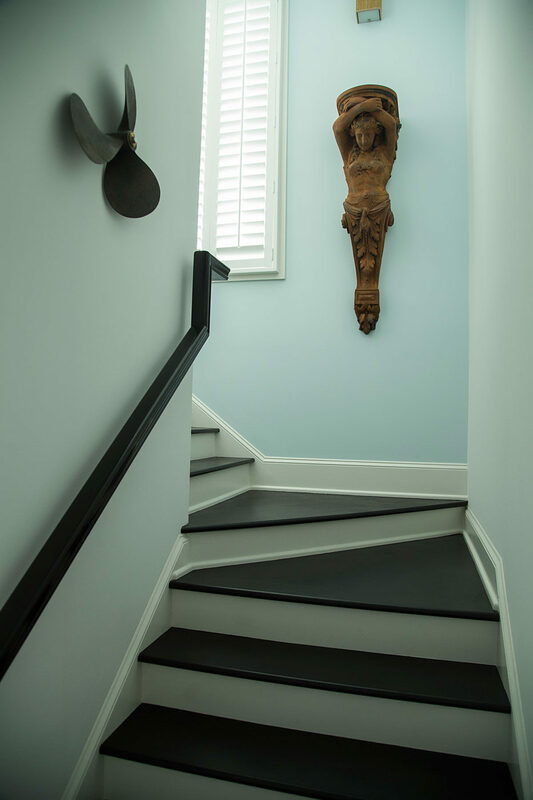 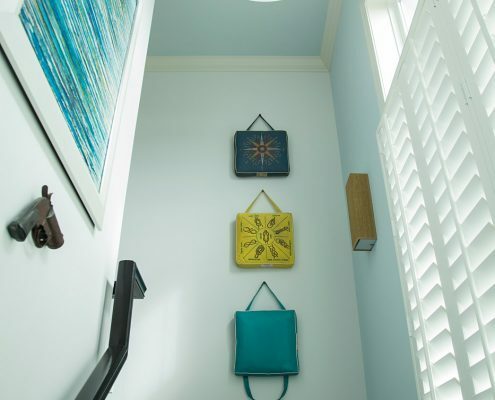 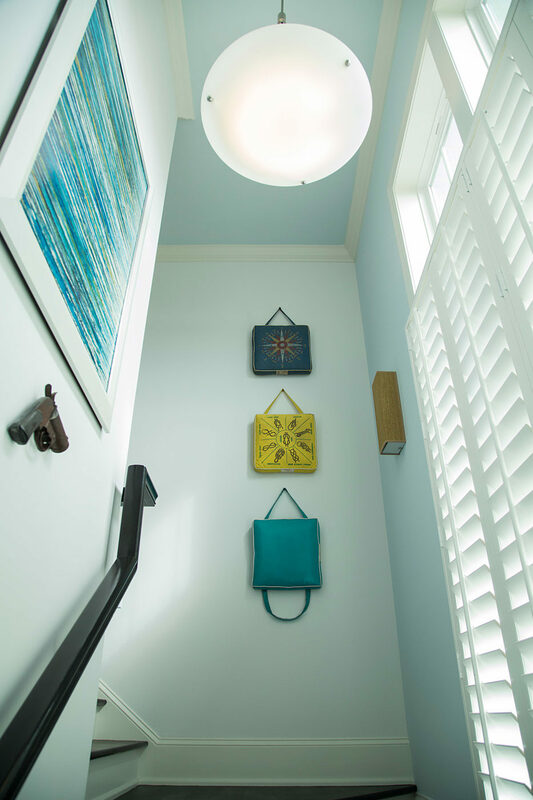 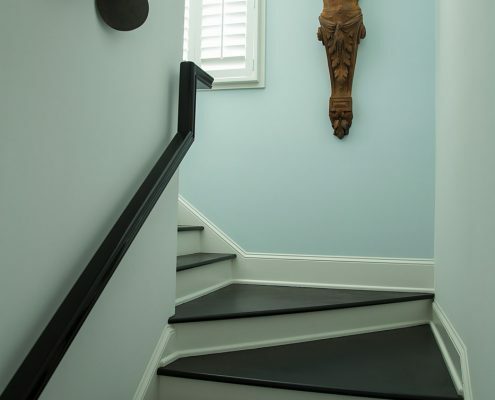 The stairwell is adorn with an antique flare gun, 1940s life preservers, and boat props. 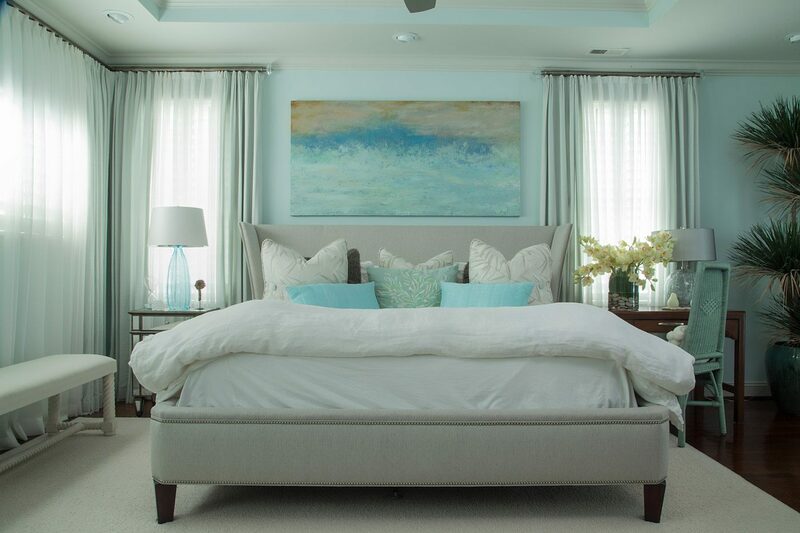 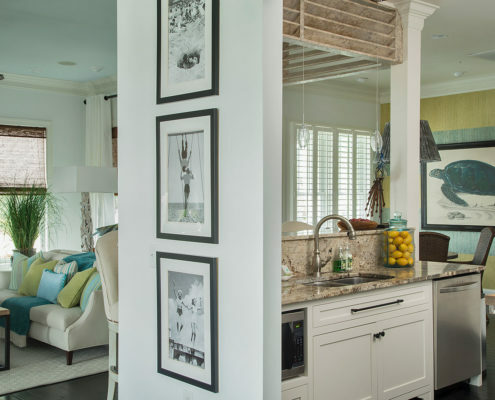 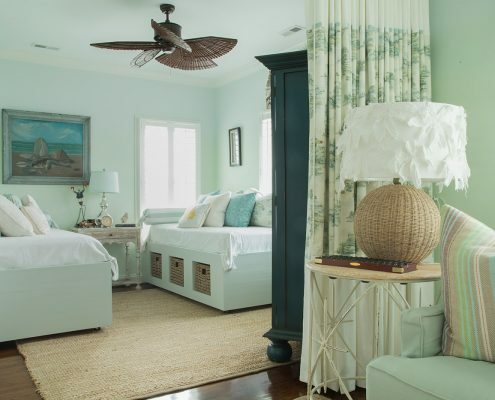 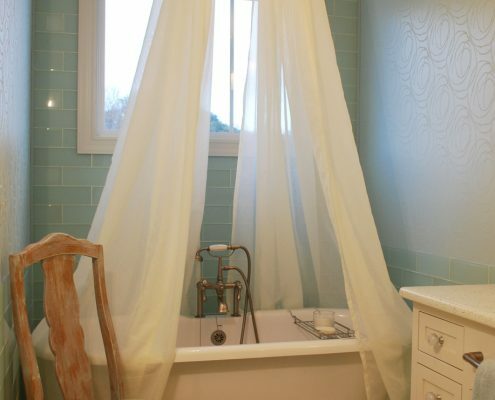 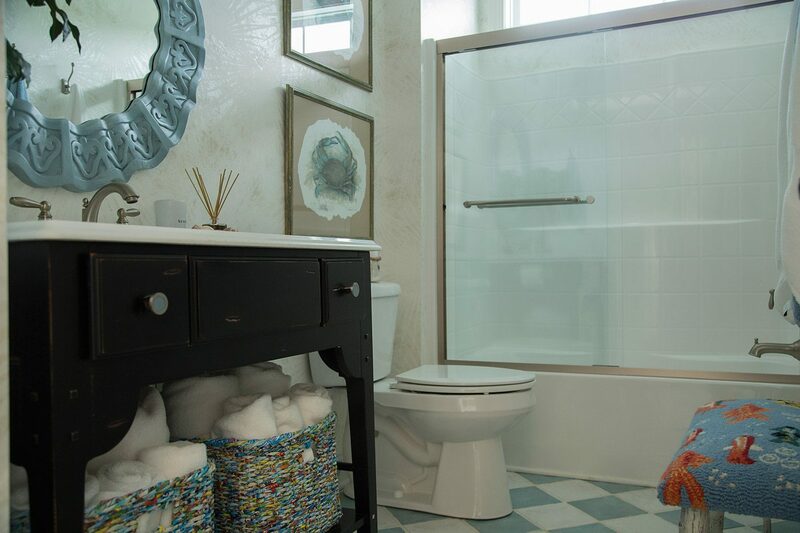 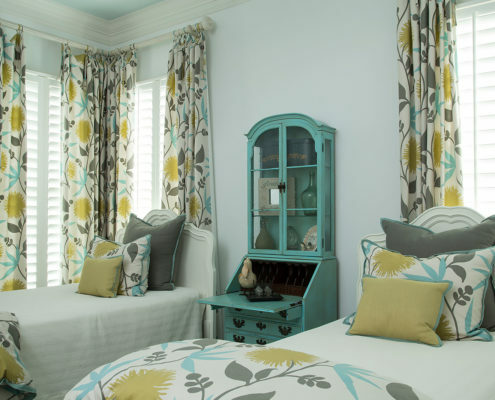 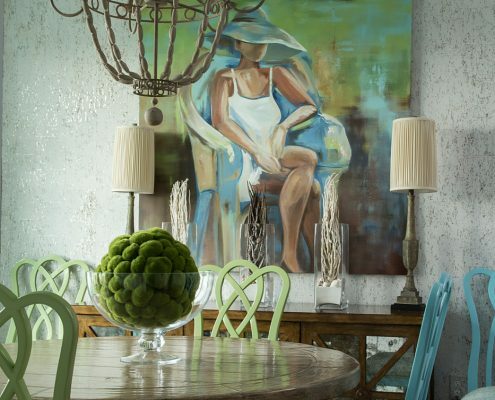 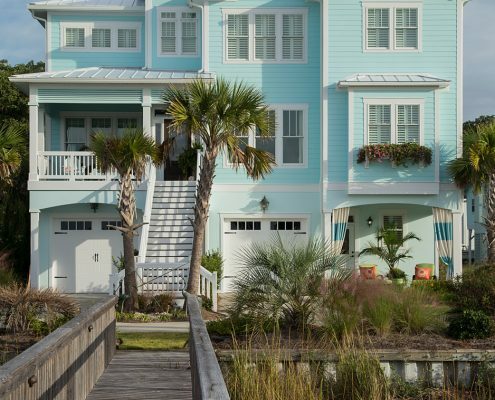 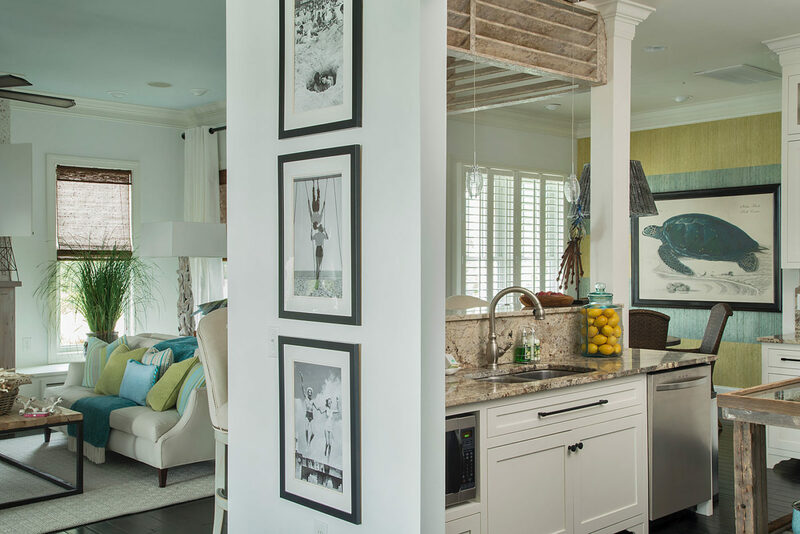 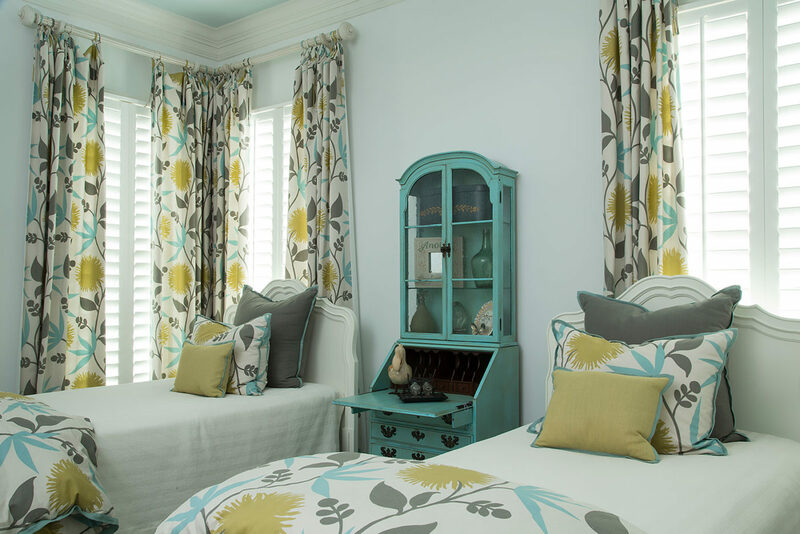 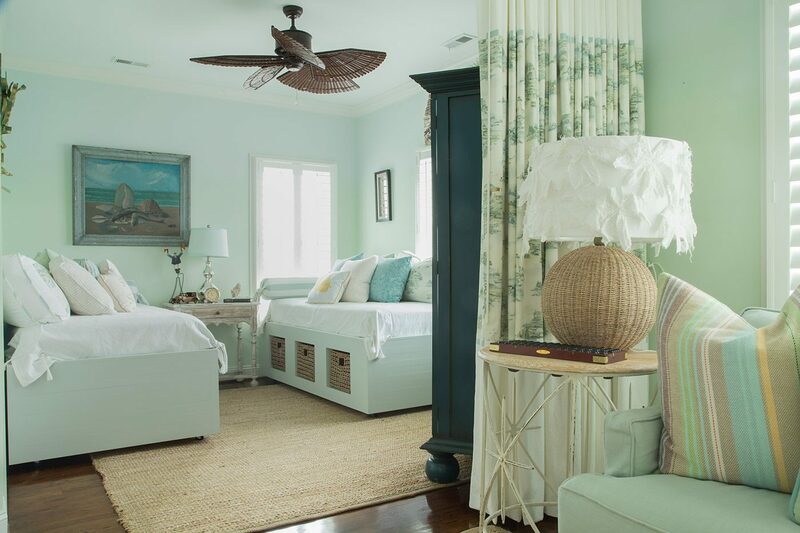 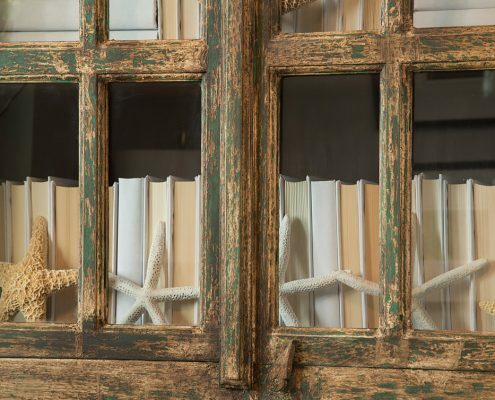 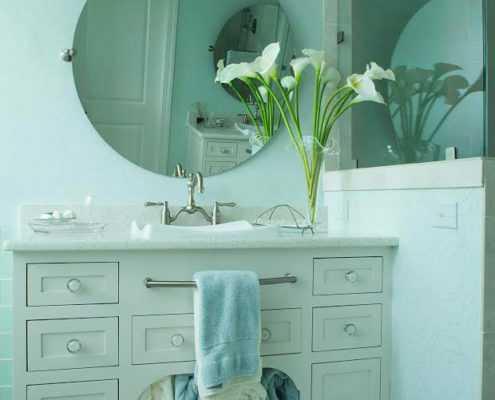 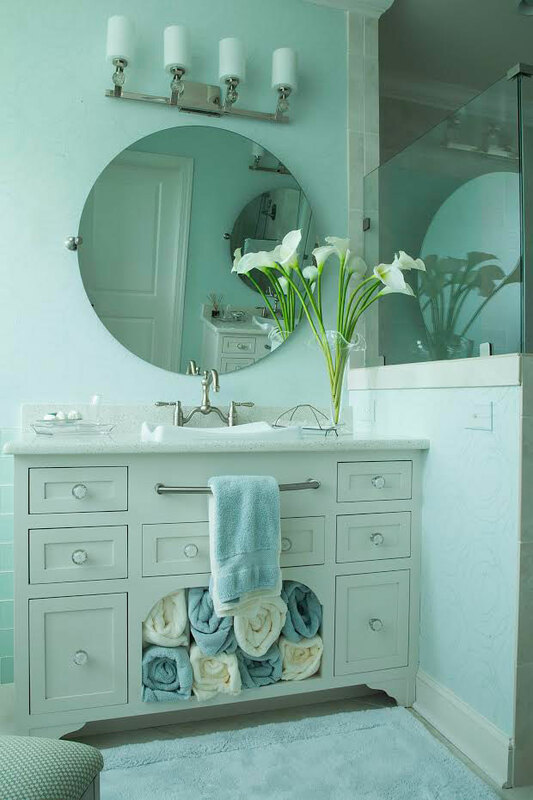 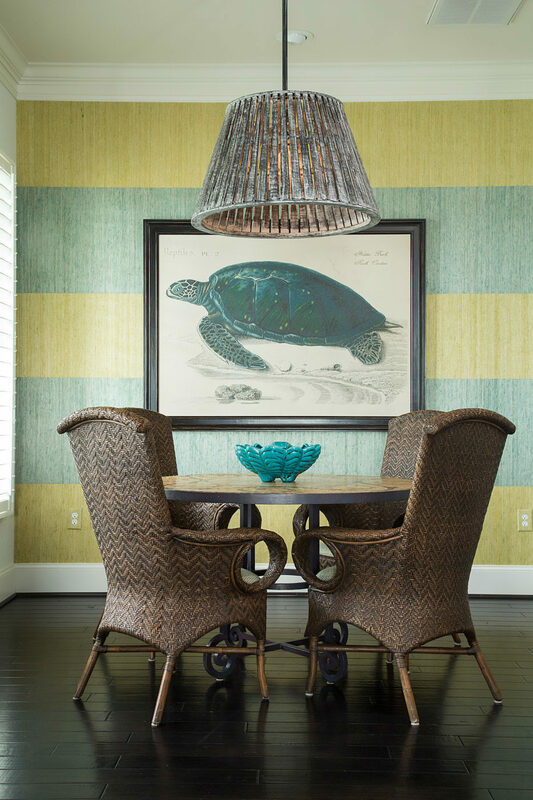 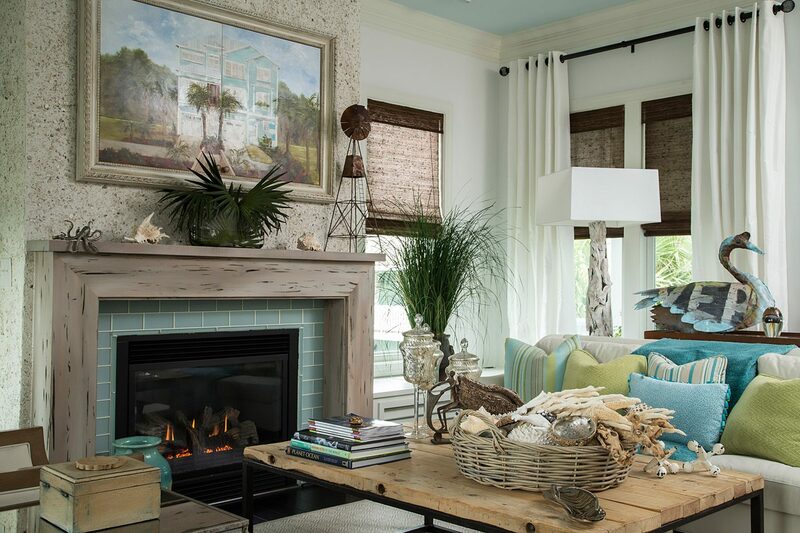 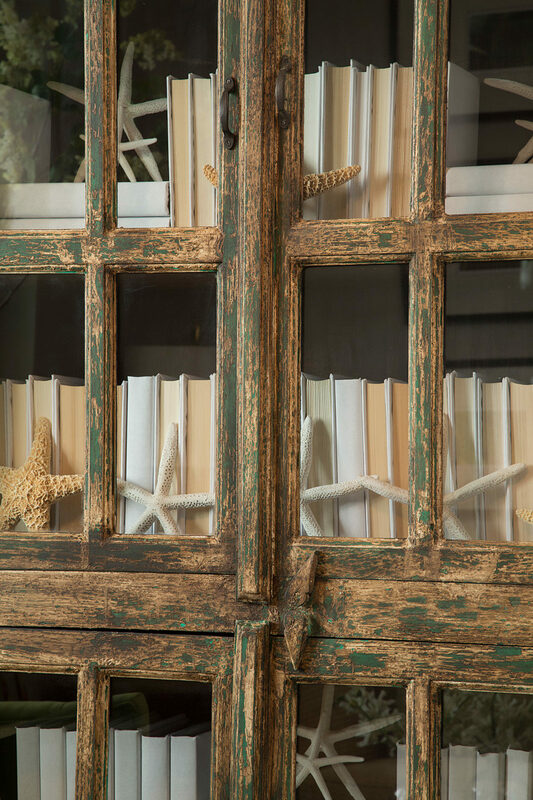 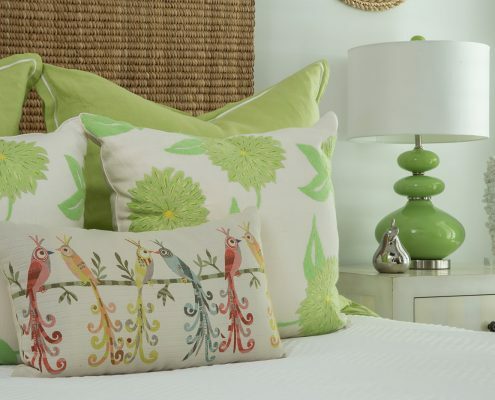 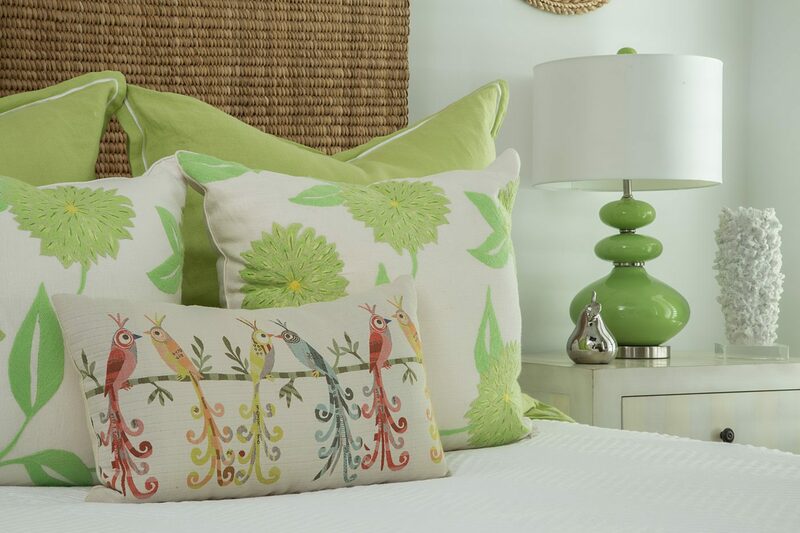 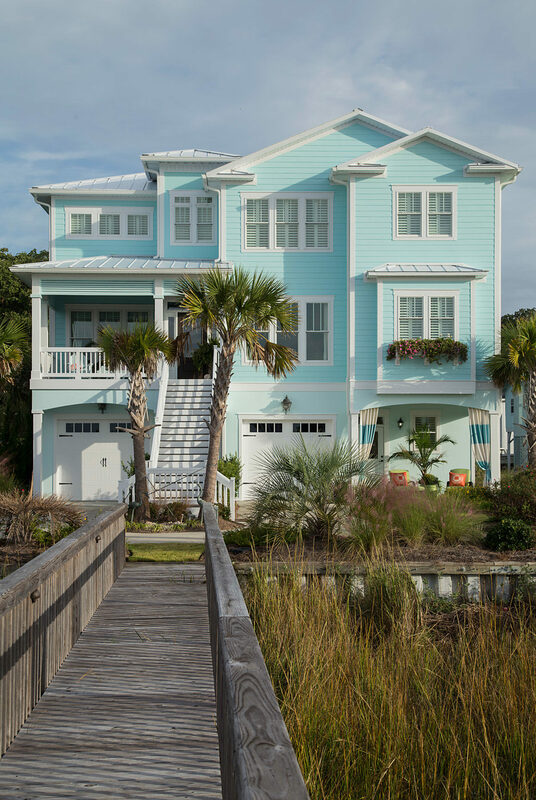 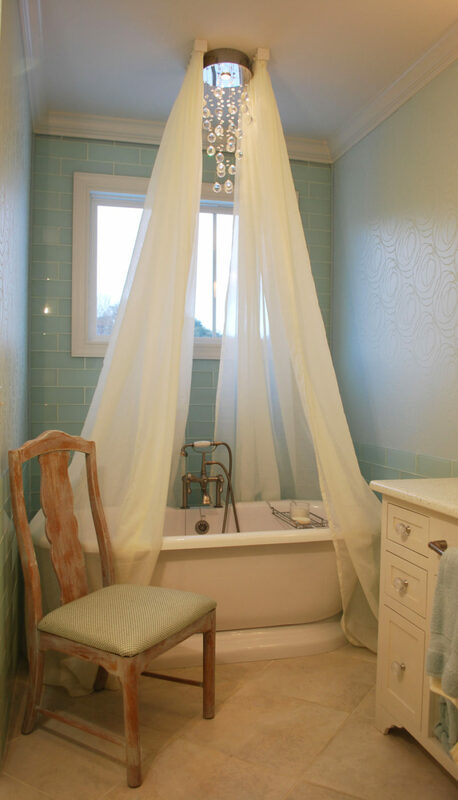 This home is filled with a large array of inspiring coastal influences.